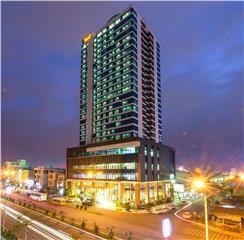 Vinpearl Luxury Da Nang is located in Truong Sa Street, Hoa Hai Ward, Ngu Hanh Son District, Da Nang City. Placed in the prime location of Non Nuoc Beach - one of the most beautiful beaches in the world voted by Forbes Magazine, Vinpearl Luxury Da Nang is an extremely ideal destination for a perfect and dreamy holiday in genuine nature. In Vinpearl, every day, you can walk in the green premises of the hotel, sunbathe in the poolside, admire the sunrise at dawn, enjoy the feeling of relaxation at Vincharm Spa, practice in the contemporary fitness center, and savor gourmet dishes in a luxurious system of bar and restaurant. 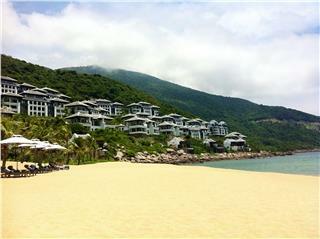 Come to Vinpearl and experience one of the best resorts in Vietnam. 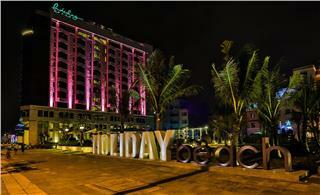 From a distance, Vinpearl Luxury Da Nang looks like a mermaid leaning against Marble Mountains. 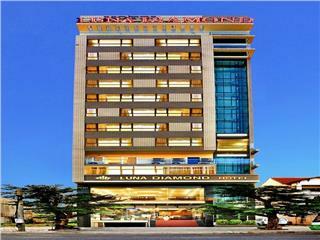 It is designed in the contemporary architecture combining with the classic charm of Indochina hotel's style of the early 20th century. 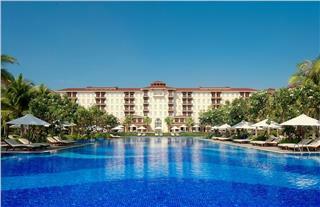 As one of the best 5 star resorts in Da Nang, Vinpearl consists of 200 sumptuous rooms and 39 beautiful and lavish villas following the world class standards. All offer a panoramic view towards sea and swimming pool and are operated in accordance with criteria of luxury and privacy, uniqueness and class, comfort and warmth. 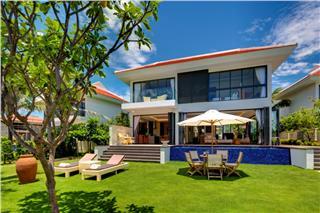 Being designed in the combination among the Cham architechture, the classical style of French, and the contemporary building design, 39 beachfront villas of Vinpearl Luxury Da Nang are located in an ideal living space with an irresistible appeal. This is a truly peaceful place to make memorable experiences with your lovers. 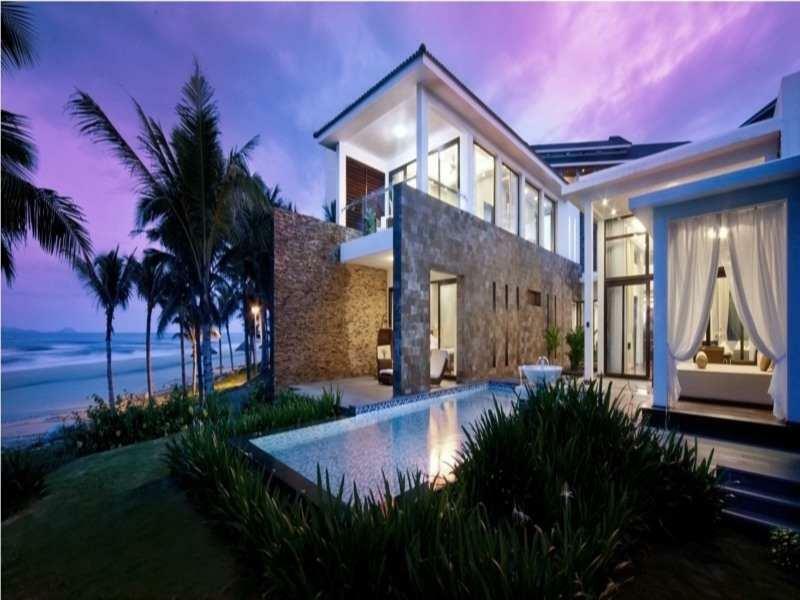 From June 2012, Vinpearl Luxury Villas has offered a program named “Vinpearl Luxury Villas Da Nang for rent” in which you will have a wonderful opportunity to own a luxurious and splendid villa located in one of the most beautiful beaches in Vietnam. 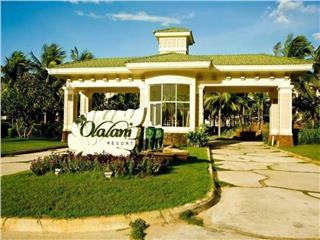 This is really a hard-to-resist chance for those who love a gentle and peaceful life in the world-class resort. There are some different choices of villas for you including Ocean Front Villas, Beach Front Villas, Lagoon Villas, and Ocean View Villas. 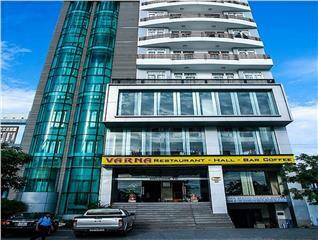 - Facilities offered by the 5-star-plus Hotel of Vinpearl Luxury Da Nang. - Free high-speed wireless Internet access. 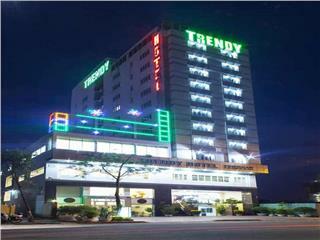 Being recognized as one of luxury resorts in Da Nang, Vinpearl Da Nang provides you a wide range of facilities and services to satisfy all of your demands. 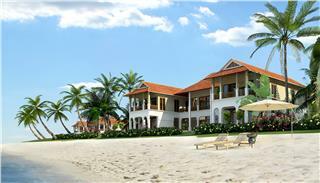 Below are general amenities and services offered in the resort. To make tourists always feel blissful and excited when living in the resort, Vinpearl Danang, among the best Da Nang resorts, offers many thrilling activities and recreation. 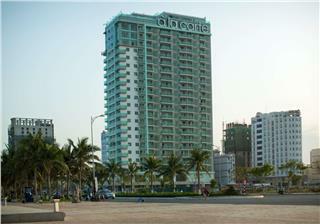 In details, tourists can play thrilling water sports in emerald beaches of Da Nang, play golf, do physical activities at a fitness center, go swimming in a pool, use massage and spa’s services, or just take a stroll around the hotel’s premises or garden to breathe the cool and fresh air of nature. In Vinpearl Luxury Da Nang Resort, a system of bar, restaurant, and lounge is conveniently and elegantly designed creating separately and uniquely culinary space. Along with a professional and talented team, chefs in Vinpearl Luxury Da Nang will cater you delicious dishes in the combination between Vietnamese traditional cuisine and the international flavors. 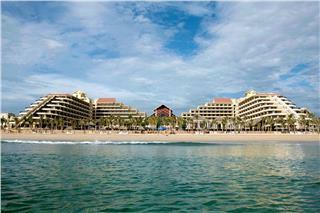 Oriental Restaurant is an indispensable part of the hotel landscapes offering excellent culinary services. In the restaurant, you can savor fresh seafood caught right from Da Nang beaches and other traditional cuisines of Vietnam and Asia. Situated in the first floor of the hotel with the passenger's capacity of 168 people, the restaurant has 2 separate dining areas serving customers' preferences involving an indoor dining hall and an alfresco dining area. In addition, parents will be very glad to know that the restaurant provides a separate menu for kids. Oriental Restaurant will open from 6.00 pm - 10.30 pm. Lying in the ground floor of the hotel, Gourmet Restaurant is designed with 2 opposing colors which will impress even if connoisseurs. The walls, ceiling, and chandeliers shaded golden colors make the restaurant become lavish and cozy. Besides, the interior in the restaurant such as tables and tablecloths having calm color create intimacy and comfort. Everyday, you can come to Gourmet Restaurant to savor sumptuous meals from 6.00 am to 10.30 am, from 12.00 (noon) to 2.30 pm, and from 6.00 am to 10.30 pm. Terrace Cafe is located in the first floor of Vinpearl Da Nang Resort with the open space designed in the harmony with nature. With the professional service manner and the sophistication in processing food and special drinks, Terrace Cafe will provide you wonderful snacks and beverages. The Cafe daily opens from 8.00 am to 10.00 pm. With the idea of ​​designing a bar to serve literature lovers, Writer's Bar is an ideal place where you can sip a colorful cocktail or wine and simultaneously share the love for literature with others who have the same interest. Located in the first floor of Vinpearl Luxury Da Nang, Writer's Bar has a window overlooking the premises, swimming pool, and beaches. In the cozy ambiance imbued with European classical style, the melodious music from the piano will make you have comfortable and relaxing moments. Writer's Bar daily opens from 8.00 am - 12.00 pm. Placed next to the swimming pool on the resort's premises, Pool Bar promises to bring you truly relaxing moments when dipping in the blue, fresh, and cool water. Here, you can sip many types of cocktails and enjoy light snacks or ice creams. Pool Bar opens from 9.00 am to 11.00 pm. Từ 9h00 – 23h00. Lobby Lounge is also located in the first floor with the modern design. The Lounge has a big window overlooking picturesque nature of Marble Mountain. Lobby Lounge is an ideal stopover for tourists after a long journey exploring the world or after playing adventurous sports. In Lobby Lounge, during the check-in procedures, you will be served a welcome drink. In every night, Lobby Lounge is an airy, roomy and bright-color space which is quite suitable for chatting, sharing interesting stories with friends, enjoying many types of wine, cocktails, and other non-alcoholic drinks, or just listening to a melodious song. Lobby Lounge will open from 8.00 am to 12.00 pm to serve tourists. 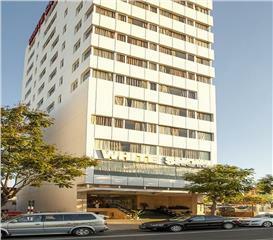 The price will be different depending which types of room and the time you make a booking. Please kindly take a look at the following table for your reference. For more detailed information, please do not hesitate to contact to us. 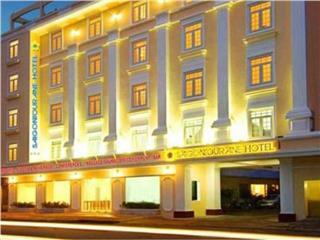 - Early check in before 6:00 am or late check out after 6:00 pm at local time requires one night charge. 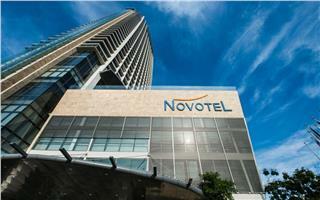 Early check in from 6:00 am and late check out till 6:00 pm requires 50% one night charge. 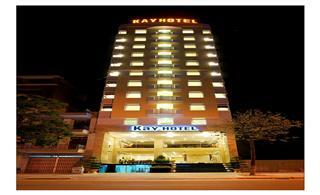 - Accommodation is free for 1 child under 4 years sharing existing bed. - Children in the age from 12 years old and older are charged the adult rate. 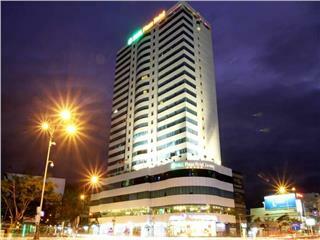 + USD $81/ person/night for children from 12 years old. - Child surcharge (with out extra bed) (Rates are subject to 5% service charge subject to 10% VAT): USD $33/person/night for children from 04 years old to under 12 years old. - If you cancel after thirty six (36) hours or you fail to arrive at the hotel on the scheduled arrival date, one night stay per room will be charged. 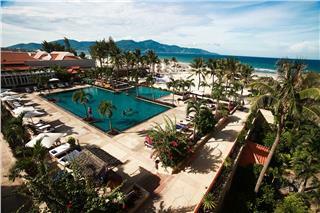 It takes only 15 minutes to travel from Da Nang International Airport to Vinpearl Da Nang Resort by car. From Vinpearl Da Nang, you can easily travel to the world heritage sites recognized by UNESCO such as My Son Sanctuary, Hoi An Ancient Town, and Hue Citadel. 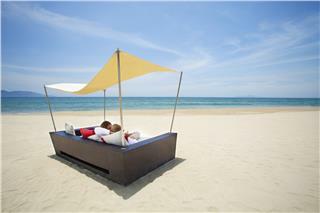 Furama Resort Da Nang is one of prestigious 5 star resorts in Da Nang which is considered as an icon of Vietnam tourism. Because of excellent services, Furama is an ideal stopover for many national leaders, royal families, film director, and celebrities. 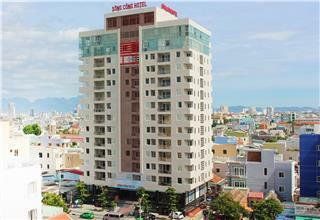 Truong Son Tung 2 Hotel is one of budget hotels in Da Nang. 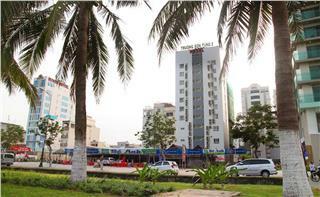 The room rates of the hotel vary from USD $40 to $70. 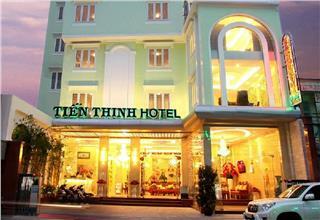 This 3 star hotel provides guests basic and standard facilities and services of a typical 3 star hotel in Vietnam.